There are numerous different kinds of massage, which focus on healing the body and mind. More and more women are finding that a weekly or monthly massage during pregnancy helps to reduce stress and promote relaxation; provides emotional support (especially for those women who are going through the experience alone); relieves muscle spasms, cramps and general aches and pains; increases circulation and thus reduces the possibility of varicose veins and swelling in the feet and legs; helps with digestion and reduces the likelihood of stretch marks , due to the natural creams used. Pregnant clients report that their massage sessions leave them feeling relaxed and comfortable, and with increased self-confidence and an enhanced body image. However, women with placental dysfunctions, pre-eclampsia, gestational diabetes, toxemia or threatened miscarriage should avoid massage during pregnancy. If in any doubt at all, have a chat with your doctor before booking an appointment with a therapist. Massage can be especially helpful for the problems that most people experience, as they grow older. Gentle massage can be used to soothe conditions such as muscle stiffness and soreness, loss of flexibility, arthritis, tendonitis, bursitis, and help with respiratory disorders such as asthma and emphysema. 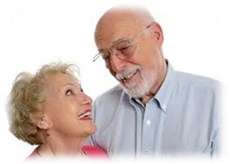 But, perhaps most important of all, for elderly people who have lost their partners and live alone, massage provides the sense of nurturing that comes from being gently and respectfully touched. Elderly people with Alzheimer’s or who have had a stroke and find it hard to communicate verbally benefit greatly from massage.